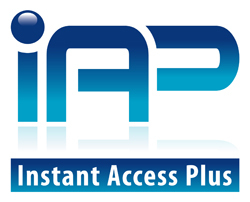 Welcome to Instant Access Plus! The easiest to use audio conferencing, web conferencing, integrated recording product in the conferencing world today! Holding a conference is as simple as dialing a number and entering an access code. Adding web? Just click a link and use the same pass code as your audio account. Need to record? Just press a button. It’s that easy! Instant Access Plus on-demand Audio Conferencing allows you to initiate a conference 24 hours a day, 7 days per week, without the need to make a reservation or rely on an operator. Instant Access Plus on-demand Web Conferencing enables you to present your Powerpoint slides, or any other PC based application with particpants remotely. Utilizing integrated audio conference controls, you can control your audio and web conference! Instant Access Plus Recording makes your audio and web conference a breeze. Completely integrated with Instant Access Plus Audio and Web, Instant Access Recording records your meeting by using a touch-tone phone or through a pre-existing easy-to-use web control feature.